^ Ban, Ki-Moon (November 30, 2011). 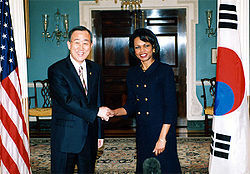 "Remarks at UN Memorial Cemetery in Korea [as delivered]". Ban Ki-Moon's speeches. UN News Center.